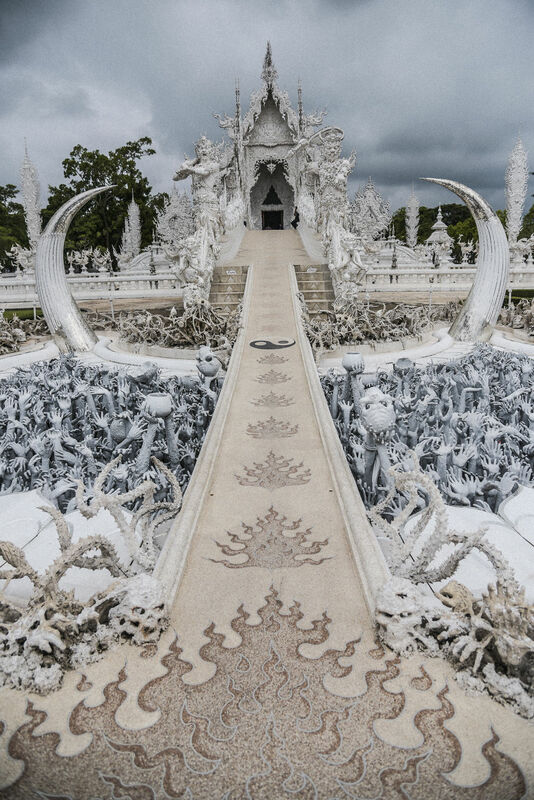 Wat Rong Khun, more widely known as Thailand’s White Temple, is built with a very simple idea in mind. 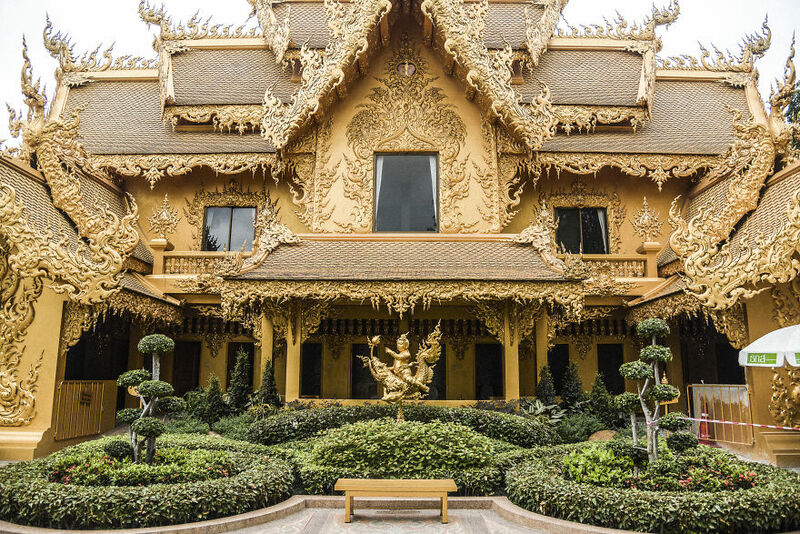 His creator, Chalermchai Kositpipat, wanted to create the most beautiful temple in the world. Undoubtedly, whoever steps inside this temple walks out with an indelible impression of it. 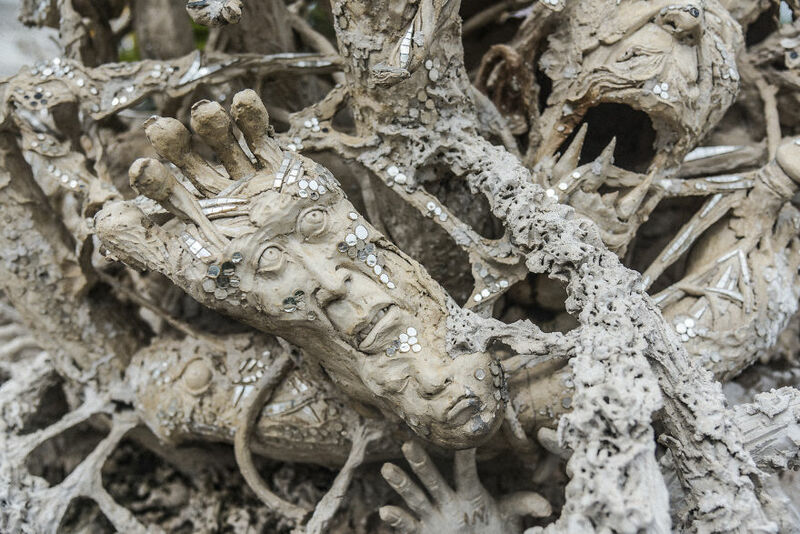 There is simply no other place on Earth like Wat Rong Khun. 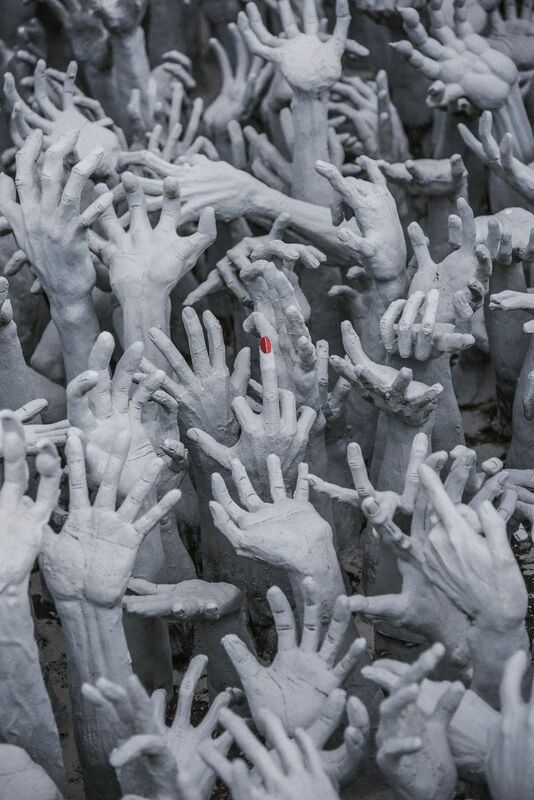 When you first find yourself standing in front of the temple, you are confronted with a cluster of desperate hands. 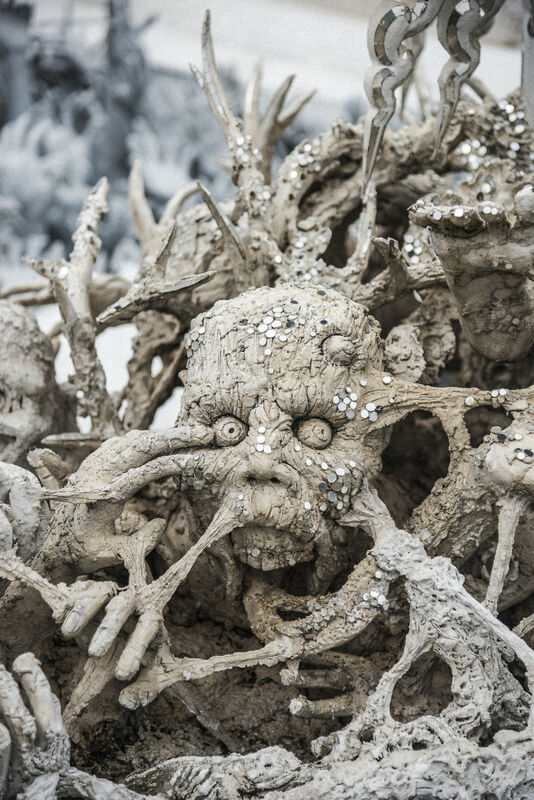 This is hell – the endless pit of desires and human cravings, according to Buddhism. 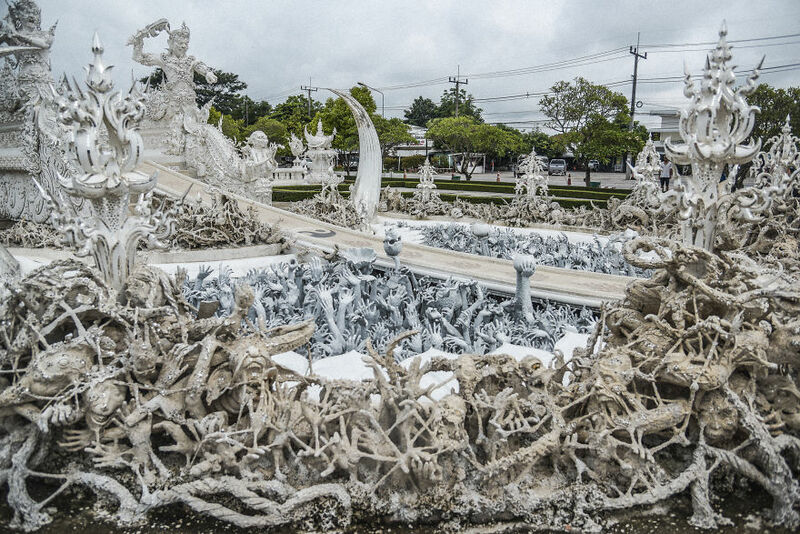 Once you cross the bridge above the “hell”, you are greeted by the statues of the heaven guardians. There’s no turning back by this point, the way is only forward. In fact, the guard employed at the temple would actually shout at you if you tried to go backward. The symbolism of crossing the bridge from “hell” to “heaven” signifies the Buddhist path to enlightenment. 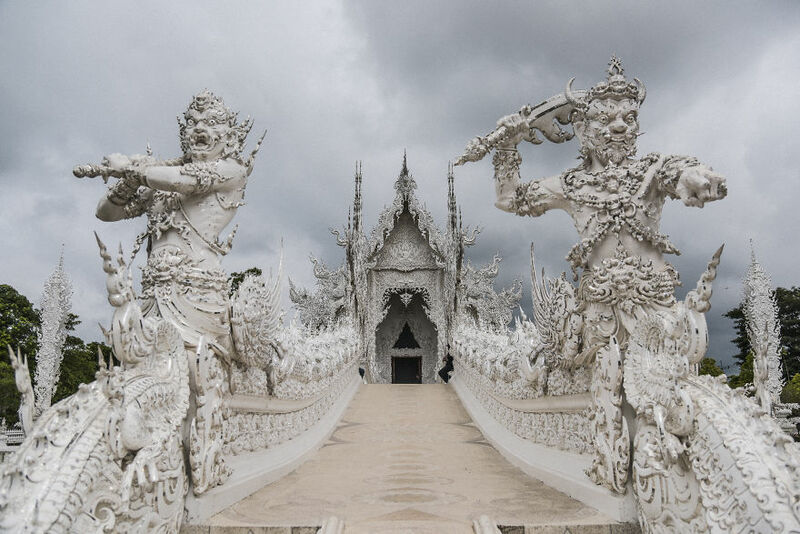 The inside of the temple is full of modern cultural references intertwined with traditional Buddhist images. It is a piece of art on its own. Yet, one cannot truly appreciate the story of this temple without having some light shed on the captivating life of its creator. Born in Chiang Rai, Chalermchai Kositpipat graduated from a traditional Thai school of arts. Whilst his early works include temples and murals in Thai Buddhist style, in Thailand, his art is regarded as controversial by some for it is a mix of modern culture symbols and traditional Thai art. Throughout his life, he lived in Sri Lanka and London selling his art and making exhibitions in both Europe and Asia. 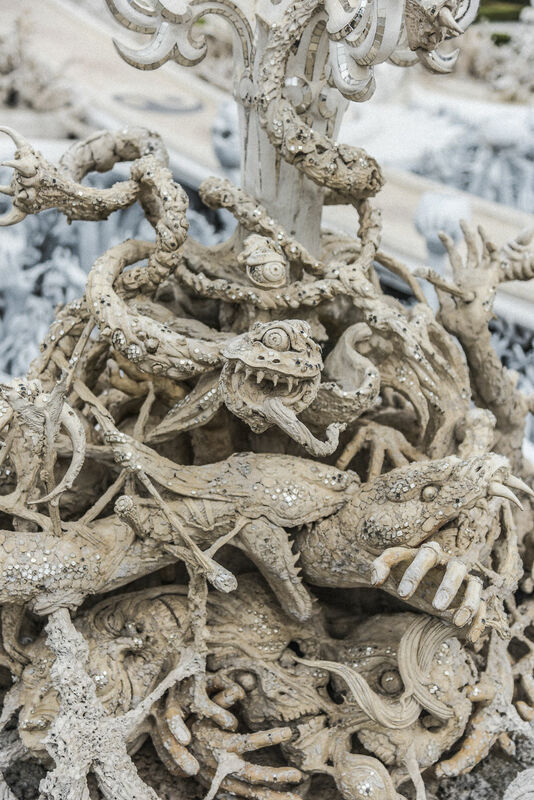 When Chalermchai acquired enough means to work on his own project, he returned to his hometown and decided to reconstruct then crumbling apart Wat Rong Khun. To this day, he has spent over one million USD of his own money on the project. 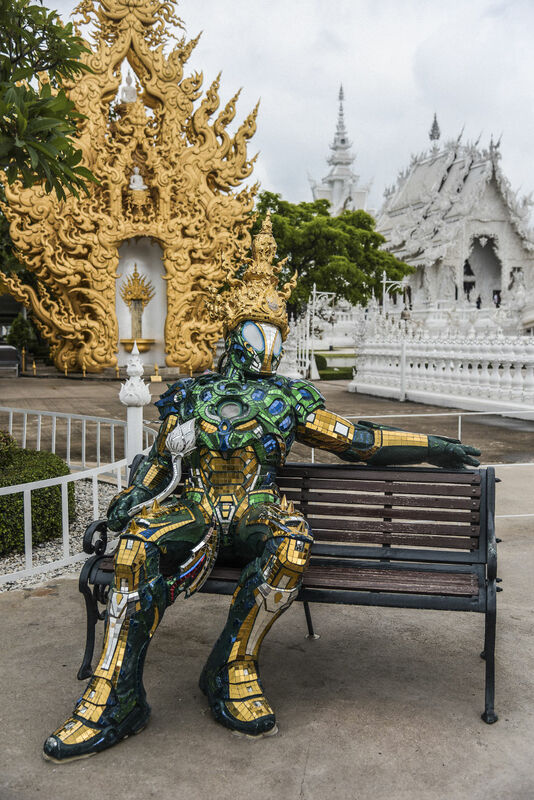 Though he doesn’t shy away from donations, the artist had set an upper cap of 10 000 USD for any donations just so he could prevent the influence of donors on how the temple evolves. 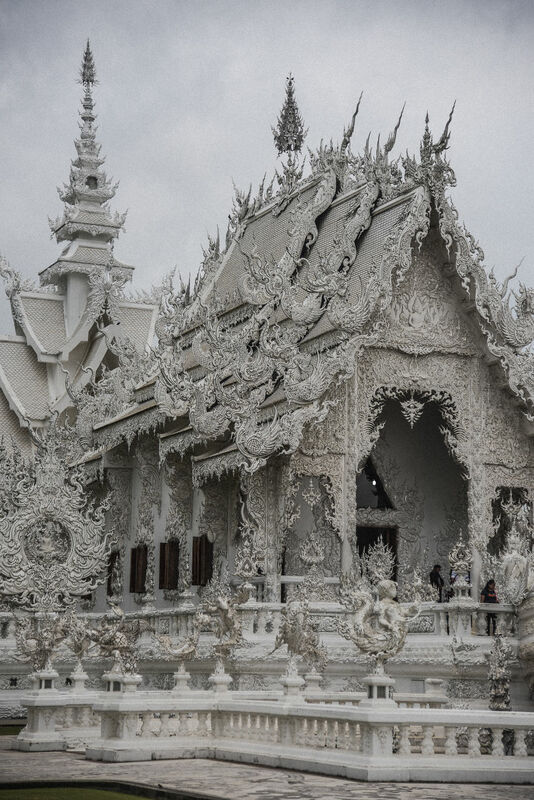 In 2014, unfortunately, an earthquake in Chiang Mai damaged the temple. For a certain amount of time, Chalermchai thought of giving up on the project. Luckily, a team of engineers informed that no significant damages have been done to the temple. Not only did he decide to continue the project, he also made it the work of his lifetime. Ironically enough, the temple seems almost like possessing a life of its own. Once new, it was crumbling apart from the old age. It was then restored, but only to be struck by an earthquake. Finally, a creative genius stepped forward and took the future of the temple upon himself. It is the untold love story between the artist and his art that is most enchanting here. This is the toilet of the temple. It is painted in gold to symbolise the human greed for material and perishable things. And it is a toilet to show us the value of all these things.